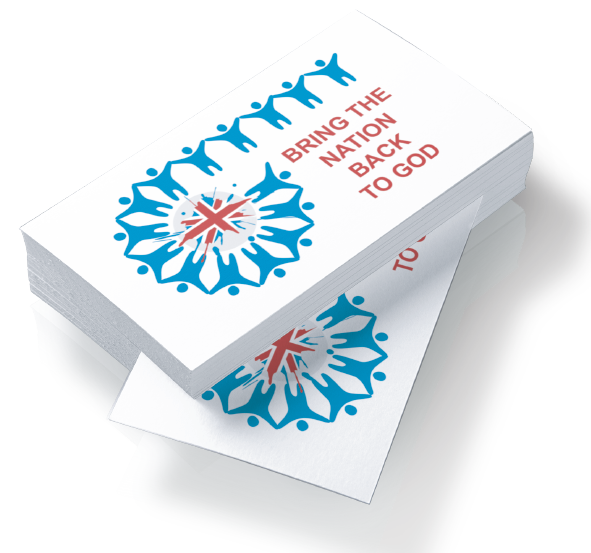 The brief was to design a brand new logo for the Christian charity ‘Bring the Nation Back to God’. The client wanted a really eye-catching bold logo to grab the attention of the British public. The Charity’s foundation is built on prayer and unity. The client wanted these things to show through in the logo. Great Britain as a nation is also very important to the client so it was important we showed all these elements in the logo. From this the client wanted us to build their brand guidelines enabling them to clearly communicate their brand to all. We decided to use the British flag in the centre and, as the theme was ‘putting the ‘Great’back into Great Britain, we decided to use a red, blue and white colour pallet to support this theme. We used iconised people congregating around the British flag with clear text saying Bring the Nation Back to God, this symbolised unity and prayer. The colours of this logo give a bright, bold tone. The people surrounding the flag are joyful, representing the spirit in which this charity is working, to return faith and joy to the British Isles. From looking at the logo it clearly gives the impression of what the charity is about. We also designed several other colours of the logo so it could work in different formats. We developed a 34 page brand guidelines document which included, tone of voice, fonts, colours, and a bank of images that communicates clearly how their team and anyone working with this Charity should present them, giving them a strong brand identity and a consistency of voice.